The doctrine of the sufficiency of Scripture lies at the heart of what it means to be a Protestant. Protestantism and Roman Catholicism share much in common in terms of basic theology, such as a commitment to the doctrines of the Trinity and the Incarnation. When it comes to matters of authority, however, there are major divergences. One of these is on the matter of Scripture: is Scripture sufficient as an authority for the church or not? 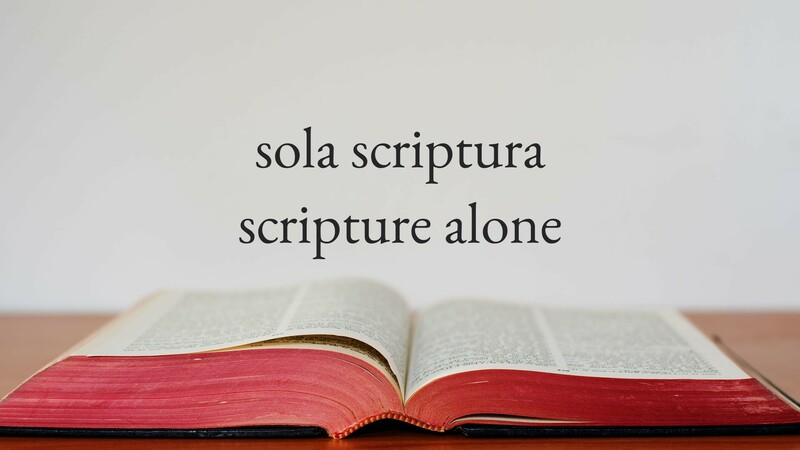 Scriptural sufficiency is, of course, a doctrine that stands in positive connection to a number of other theological convictions, such as inerrancy, the extent of the canon, and the perspicuity or clarity of Scripture. All of these help to shape our understanding of sufficiency but are beyond the scope of this brief article. 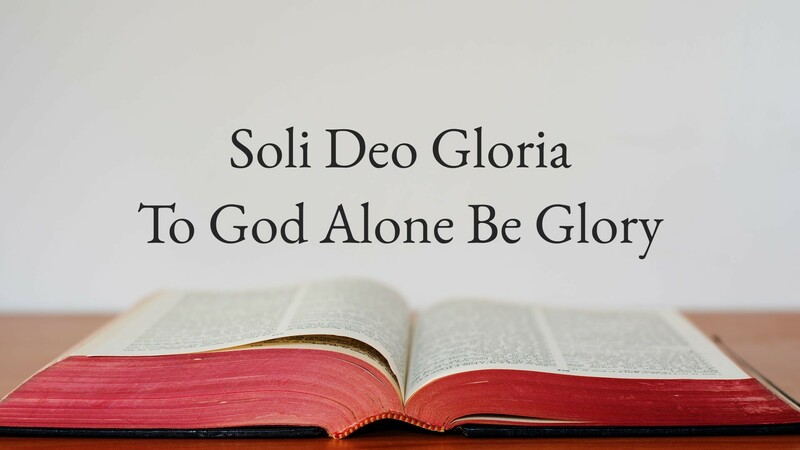 Thus, I will focus on the doctrine as generally understood by those who accept the Protestant confessional consensus on these matters, as reflected in the Second London Confession, the Three Forms of Unity, and the Westminster Standards. 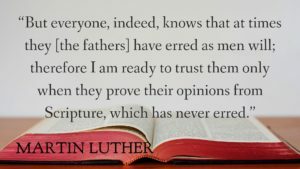 WHAT DOES IT MEAN THAT SCRIPTURE IS SUFFICIENT? In other words, the Scriptures are sufficient for a specific task: they reveal who God is, who man is in relation to him, and how that relationship is to be articulated in terms of worship. Even with this definition, however, we need to be precise concerning the nature of this sufficiency. In some areas, the Scriptures are sufficient for teaching principles but not for providing specific details. For example, while they clearly teach that the church should gather for worship on the Lord’s Day, they do not specify precise times and locations. Neither my local congregation nor the time of our services are mentioned anywhere in the New Testament. Scriptural sufficiency is not jeopardized by this lack; Scripture was never intended to speak with precision to such local details. The last observation is perhaps obvious. A more subtle point about scriptural sufficiency can be deduced from Paul’s pastoral epistles. When Paul writes these, he is laying out his blueprint for the post-apostolic church. 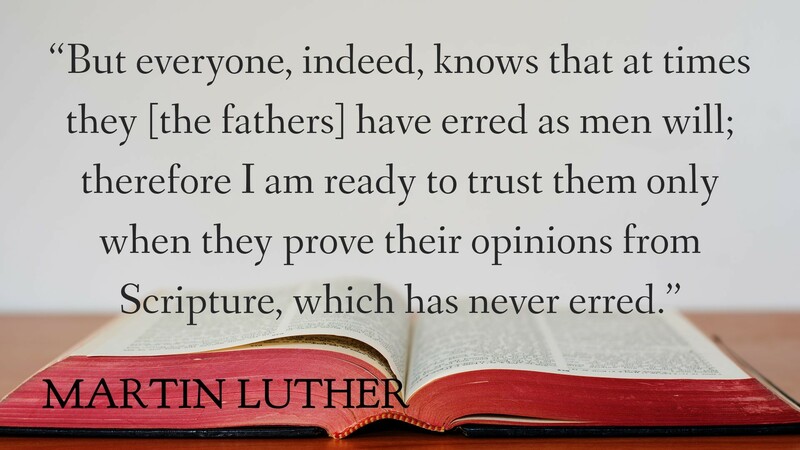 It is thus significant that he does not simply tell Timothy and Titus to make sure there are copies of the Bible available to the church. If Scripture in and of itself were sufficient to maintain the truth of the faith, surely that is all he would need to have done. Instead, he not only emphasizes the importance of Scripture but also says that there is a need for officers (elders and deacons) and for adherence to a form of sound words (a tradition of creedal teaching). So to say that Scripture is sufficient for the church is not to say that it is the only thing necessary. Officers and creeds/confessions/statements of faith (agreed forms of sound words) also seem to be a basic part of Paul’s vision for the post-apostolic church. Given these factors, there is a sense in which we might say that Protestants believe in the insufficiency of Scripture: we acknowledge that Scripture is insufficient for many of the details of everyday life, such as motorcycle maintenance and cooking curries. It is even insufficient for the day-to-day running and good health of the church: we need elders, deacons and forms of sound words. What it is sufficient for, however, is for regulating the doctrinal content of the Christian faith and the life of the church at a principial level. That is Paul’s point in 2 Timothy 3:16. 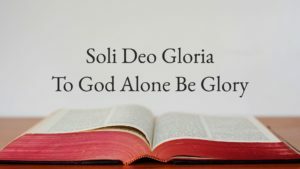 In other words, to speak of scriptural sufficiency is one way of speaking about the unique authority of Scripture in the life of the church and the believer as the authoritative and sufficient source for the principles of faith and practice. 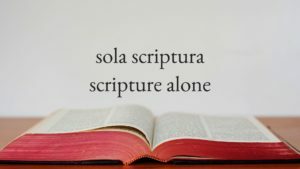 WHAT IS SCRIPTURE SUFFICIENT FOR? We can elaborate this. First, Scripture is sufficient as the noetic ground of knowledge of God. This means that all theological affirmations are to be consistent with the teaching of Scripture. The statement “God is Trinity” is found nowhere in the Bible; but its conceptual content is there; that is why it should be affirmed by all Christians. By contrast, “Mary was conceived without original sin” is not a concept found anywhere in Scripture. Roman Catholics who affirm the notion thereby reveal their view that Scripture is not sufficient as the noetic basis for theology, but needs to be supplemented by the teaching magisterium of the church. Second, Scripture is sufficient for Christian practice. At the level of behavior, Scripture offers principles which guide believers in their day to day lives. This can be a complicated area: the advent of Christ demands that the Old Testament law codes be read in the light of his person and work, and this issue is beyond the immediate scope of this short piece. But the principle of sufficiency is clear: given the redemptive-historical dynamic, Scripture provides fully adequate and sufficient general principles which can be applied in specific ethical situations. For example, the Bible may not reference stem cell research, but it contains principles that should shape our attitudes to such. Third, at the level of the church as an institution, Scripture is again sufficient for the principles of both organization and public worship. In terms of organization, I have already noted the fact that Paul sees both office-bearers and creeds/confessions as vital to the ongoing health of the church. As to office-bearers, Scripture also describes the kind of men who are to be appointed. As to creeds, my first point above—that Scripture is sufficient as the norming norm of the content of doctrinal statement—is clearly relevant. Fourth, in terms of public worship, Scripture is sufficient for establishing its elements: singing of praise, prayer, the reading and preaching of God’s Word, the giving of tithes and offerings for the work of the church, baptism, and the Lord’s Supper. As with creeds, Scripture is also sufficient to regulate the agenda and content of sermons, worship songs, prayers, what the money is spent on, who is baptized, and who receives the Lord’s Supper. In short, one can tell a lot about how a particular church understands scriptural sufficiency by looking at her form of government, the content and emphases of corporate worship, and the way in which the elders pastor the congregation.